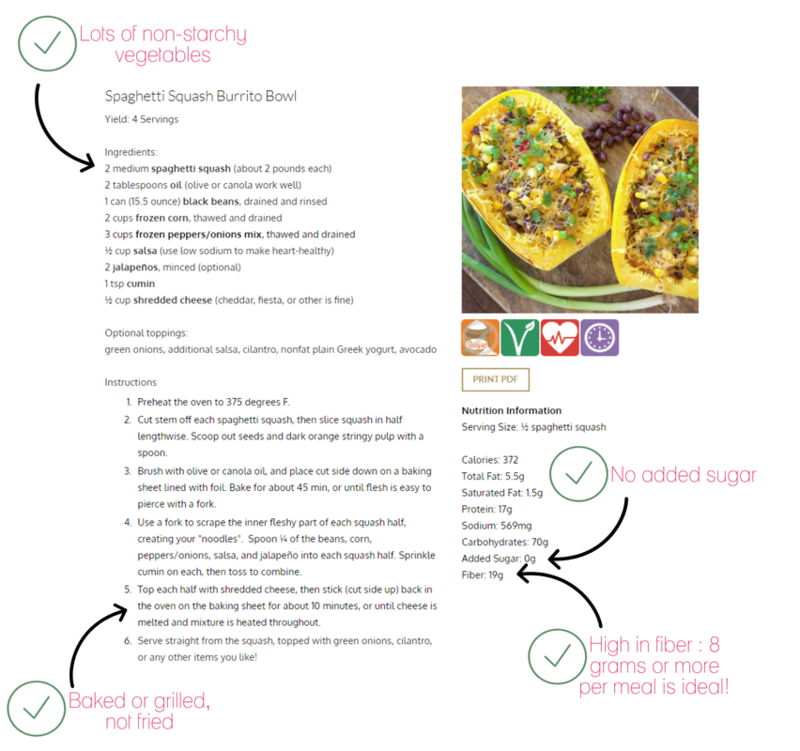 What makes a recipe "diabetes-friendly"? You may see cookbooks and magazines that advertise "diabetes-friendly" recipes, but what does that really mean? Lots of recipes are healthy for people with diabetes, even some of the ones you're already making. The ability to see for yourself whether a recipe is "diabetes-friendly" is a great skill to have! When trying to choose a recipe, there are a few things to look for that ensure you're making a good choice. Use the example we have below as a guide, and let us know if you have questions! * What you eat is a key part of managing your diabetes, but exercise is important too. Exercising following meals can help to lower blood sugar naturally. See our exercise tips for ideas. Always discuss exercise and diet with your doctor and Registered Dietitian first.